As with any major life decision, establishing the first step in your professional career after college is both exciting and terrifying. It can become overwhelming to research dozens of companies, keep track of locations and benefits, and submit all of the essential paperwork, all while completing your final few semesters of school. Here are some tips to keep you on the path to success as you work towards landing your first job. It’s easy to get discouraged at this point in your life-- you will see a lot of jobs that require tons of experience, Masters degrees, and other prerequisites that you might not have. If you are searching on your own and can’t find anything that matches your interests, skill set, and desired location, try broadening your search. Keywords and specific locations can limit your options immensely, so it’s important to find any and all opportunities available to you. If you still find yourself coming up short after you’ve tried and tried again, don’t be afraid to visit a career counselor for guidance. If you’re keeping track of dozens of job listings, spreadsheets will become your new best friend. Make a list of each job title, employer, location, benefit, and potential salary so you can easily compare and contrast your options. Being organized will take the stress of memorization off of you and allow you to easily identify pros and cons of each position that you are planning to apply for. Don’t wait until March to start looking into career opportunities. If you’re someone who’s already working and stays active in extracurricular activities on top of your schoolwork, it can be tough to find time in your busy schedule to search for jobs. However, it’s necessary. 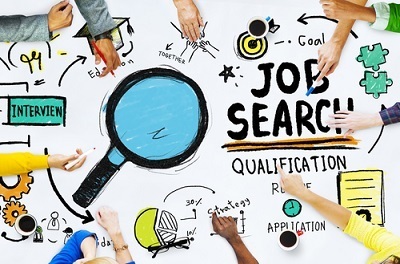 Set aside at least an hour or two each week to start searching for jobs, listing out opportunities, making a first contact with employers, and perfecting your resume. Your college career is nearing its end, but that doesn’t mean you should stop building your skills now. Be sure to put your best effort into your current classes, jobs, and internship experiences in order to further build your skills and add to your resume. The more attributes and experience you bring to the table when it comes time to interview, the better. “Burning out” has become a major topic in the workforce in recent years, but college students are susceptible to it as well. You undoubtedly have a lot on your plate at this point in your life, but you need to recognize when it’s time to give yourself a break. It’s important to stay healthy and maintain a positive attitude as you start applying, so don’t overexert yourself before you even land that first job! Searching for your first career move? Look no further than Barton Associates, a nationwide leader in healthcare recruiting and staffing. Visit our website to learn about the entry-level positions we have to offer you!